Healthy-looking skin boosts self-confidence and helps everyone feel more attractive, which is why The Peer Group is pleased to offer northern New Jersey patients the revolutionary HydraFacial®. 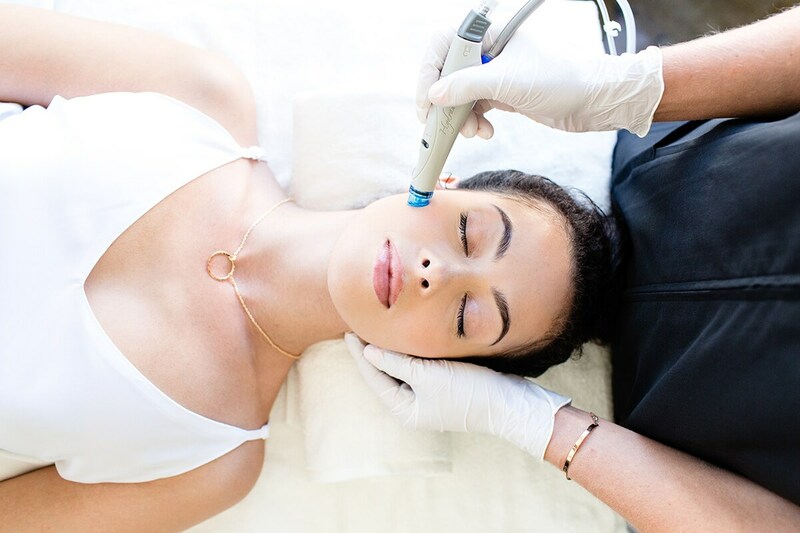 With a patented 4-in-1 Vortex™ technology, the HydraFacial is a comprehensive skin care treatment system that provides a spa-like, medical-grade facial to improve the overall health and appearance of your skin by customization. Whether you are concerned about signs of aging, clogged pores, rough skin texture, or dryness, the skin care specialists at The Peer Group will create the best HydraFacial treatment plan to address your needs and concerns. The HydraFacial can treat all skin care issues on all skin types. Schedule an appointment to learn more about the HydraFacial system and other skin treatments to keep you looking young and healthy. "Hydra Facial with a brightening add on - I recently had a hydra facial & was very happy with the results- the use of the tools for exfoliation & the 3 different serums was interesting. I left the office with a radiant glow." "I was very happy with Rachel very helpful and kind. Had a great fresh look at new things and she helped a lot." "Have been coming to the Peer Group for over 20 years and trust me it’s had impact on my appearance. People always comment on how good my skin looks!" "Always pleased with Karen's services." "Multiple Gold Stars to Karen - Karen is wonderful. My skin has definitely improved while under her attention. She clearly loves what she does and her patients benefit from that devotion!" The HydraFacial takes skin care rejuvenation to a whole new level, providing instant results in just 30 minutes. A consultation with your skin care specialist will determine the best treatment approach. HydraFacial treatments are performed in our private and relaxing skin care treatment rooms. The HydraFacial treatment process consists of cleansing, exfoliation, extraction, hydration, and protection. Each step is personalized to your skin's needs with the most appropriate skin care product incorporated into the treatment. The noninvasive HydraFacial skin care treatment is soothing, not irritating. Unlike other skin care treatments that you may need to avoid before a big event, there is no downtime with the HydraFacial. You will notice immediate skin improvement following your treatment. To maintain the results of your HydraFacial, The Peer Group suggests a HydraFacial treatment in monthly intervals. During your initial consultation, we will develop a treatment plan and create a home skin care routine to keep your complexion healthy and glowing between treatments. Average procedure time is around 30 minutes. Contact us. With so many professional and home skin care treatments available, it can be overwhelming to decide which is best for you. 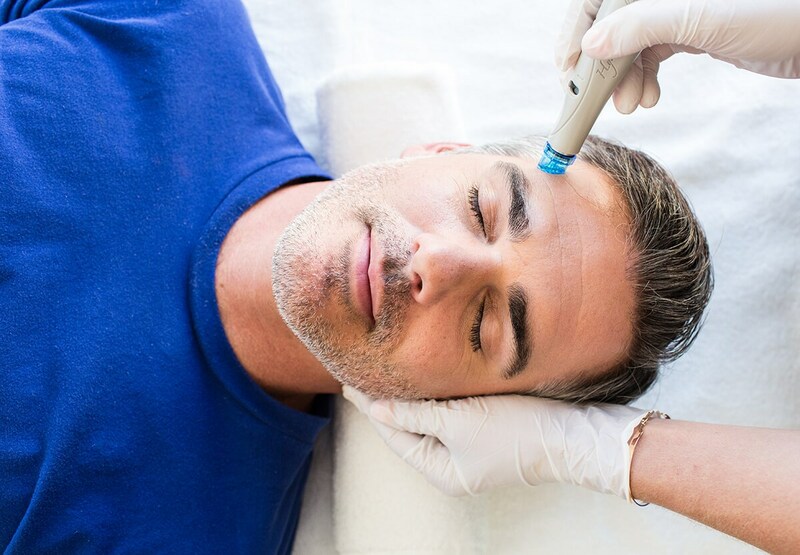 The HydraFacial system allows us to customize the techniques used in your treatment, adding or subtracting steps to personalize your results. At The Peer Group, we pride ourselves in providing individualized care to all of our patients. This procedure exemplifies our devotion to our patients. When it’s time for a professional skin care facial treatment and you want to learn more about the technology of the HydraFacial, schedule an appointment at our office in Morristown, NJ. The HydraFacial is suitable for women and men of all skin types and ages. The treatment can be personalized to suit your unique needs and goals. Complexion problems that can be improved with a HydraFacial skin resurfacing treatment include sun damage, brown spots, acne, fine lines and wrinkles, uneven skin tone or texture, and enlarged pores.